A holiday house in Provence costs on average GBP 1,000 in the cheap travel period and GBP 1,779 in the peak season per week. These details are of course in relation to the house and not per person as well as includes the obligatory additional charges. 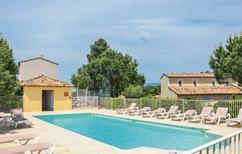 Why not go on your next summer holiday to the Provence in the southeast of France. Cézanne and van Gogh were enthralled by the colourful countryside, the never-ending fields of lavender and the vineyards. Enthusiasts of the antique period will find the Provence like an open air museum that takes them through the Roman era. Numerous attractions are UNESCO heritage sites and they invite you on a journey in the past. 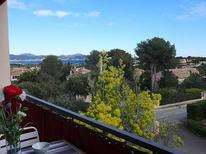 The Provence charms above all with idyllic nature and Mediterranean culture. The proverbial light of the Provence falls upon gigantic fragrant lavender fields and vineyards, on nice small villages and antique towns. Also be enchanted by this picturesque region. 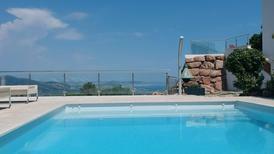 In the Provence atraveo offers more than 2,200 holiday houses and more than 3,400 holiday apartments. You can for example book a holiday home within the countryside with a view across the vineyards - maybe in a traditional stone house or an affectionately restored Cabanon, a typical Provence small wooden house. 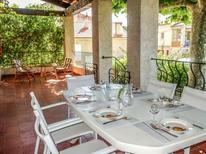 Or you enjoy the charm of a provincial town in a holiday accommodation in Provence style. 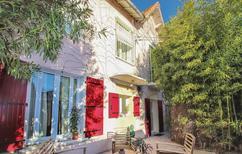 In bigger towns like Avignon or Orange you have the choice between charming town houses or modern furnished studios. atraveo offers you holiday apartments and houses in the hinterland of the Provence like for example in the Maritime Alps all the way up to the coastal regions of the Côte d'Azur or the Camargue. Opt to stay in the spa resort Digne-les-Bains also referred to as lavender town in a holiday home from the 17th century or what about a wooden chalets in the midst of the Mercantour National Park on the border to Italy or maybe in Grasse the centre of the perfume production. Many holiday houses in the Provence provide a pool or are near a river or lake where one can bathe. In the Provence many historical monuments and places of interest can be discovered during a vacation. So you could visit the city of Arles for example and explore an impressive antique amphitheatre which offered place up to 25,000 visitors and is well-preserved. In close proximity there is a Roman theatre. Here once stood the famous Venus of Arles which today is exhibited in the Louvre in Paris. Also worth a look are the Thermal Springs of Constantine. You should on no account miss out on the obelisk of Arles which is a monolith of about 15 metres that was placed at the Place de la République. The historical centre of Avignon is an UNESCO world Cultural Heritage Site. Here you can admire medieval buildings within an imposing and well-preserved town wall. Particularly romantic is a trip to the Rhone and the impressive arched bridge Pont Saint Bénézet a known town landmark. At the end of July a festival takes place in Avignon with lots of dance, theatre and song. At this time historical places are of full life and vibrancy and with an array of performances taking place. Other interesting towns in the Provence with cultural places of interest are also Nice, Marseille, Aubignan and Aix-en-Provence. Also a highlight not to be missed is a trip with the famous pine plug train which operates four times a day between Nice and Digne-les-Bains. From the atmosphere of the port all the way through the Provence highland with its lavender fields you experience within three hours all facets of the Provence. The route goes across stone bridges, iron viaducts and tunnels. Close to the spa resort Digne-les-Bains you can visit the biggest ammonite field of Europe. Here more than a thousand types of fossilization of mussels were discovered. This time travel 200 million years back in is something most visitor of this region never misses out on. Afterwards in Musée Promenade you can see the still living relatives of the fossilized ammonites and stroll through an impressive butterfly garden without netting. Dignes-les-Bains is also called capital of the lavender. Surely you will find some time on your excursion stroll by on of the extensive lavender fields an atmosphere which has inspired many artist. Famous natural artist Andy Goldsworthy has for example created several works from clay and stone specifically for this region. Hiking routes take you to his sculptures which he embedded in the landscape. 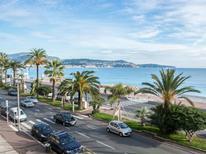 To the north of Nice, the other final station of the train you will find Mercantour National Park. Here you can go on wonderful hikes and admire not only rare animal and botanical species but also discover in the so called Valley of the Miracles also rock drawings from the Bronze Age.